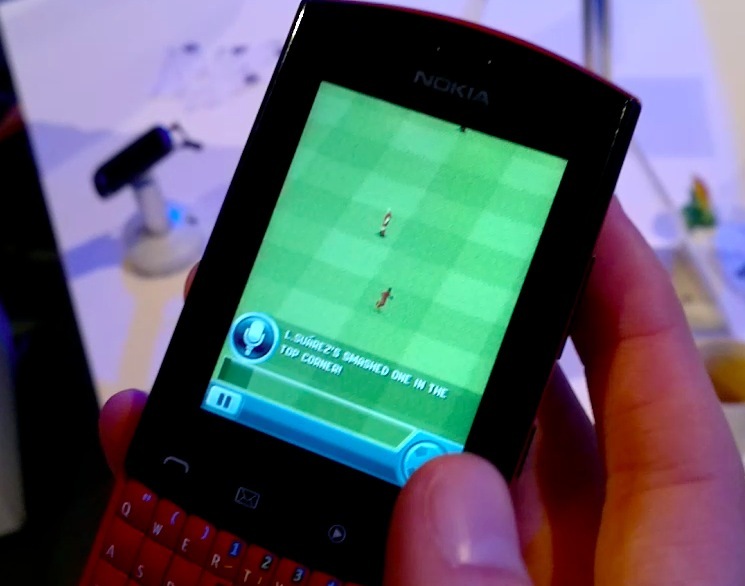 James Taylor from EA demoes FIFA 12 on the S40 Touch and Type, Nokia Asha 303. This video was recorded on the Nokia N8. It does focus properly, so don’t worry about watching a completely blurry video. (As you’ve seen and will see in other videos we’ll be uploading, it’s mostly very fast when focusing). Anyway, I think this is the link to the Nokia Store. It’s actually £4 now. OVE FOOTBALL! PLAY FOOTBALL! Experience the action of your favorite sport like never before, with vibrant graphics and ultra-realistic animation. Choose from over 250 clubs and play like a pro with famous footballers like Kaka, Rooney, and more. From the English Premiership and La Liga, to Ligue 1 and beyond – dominate your league and march toward glory in 3 real stadiums. Football is life! Now live it to the fullest with the ONLY officially licensed FIFA game on mobile. « Video: Angry Birds smashes half a billion downloads!